What is it about unidentified flying objects and extraterrestrial visitors that holds such allure? Surveys consistently show that about a third of all Americans think alien spaceships are real — and that as much as 10 percent of the population have seen such spaceships. Eyewitnesses abound, but the physical evidence is flimsy. Shostak definitely thinks there’s intelligent life out there. Otherwise he wouldn’t be spending so much time and energy on the radio-based search for extraterrestrial intelligence, a.k.a. SETI. But he also spends more than his share of time debating people who are certain the aliens are already among us. Shostak encountered one such true believer during a speaking engagement in Chicago. But what about all those eyewitness reports? Lincoln said such reports don’t cut it, even if they’re attributed to presidents or generals. “With something like this, which would have such breathtaking consequences for our understanding of the universe, we’re going to need something more than ‘somebody said so,'” he said. 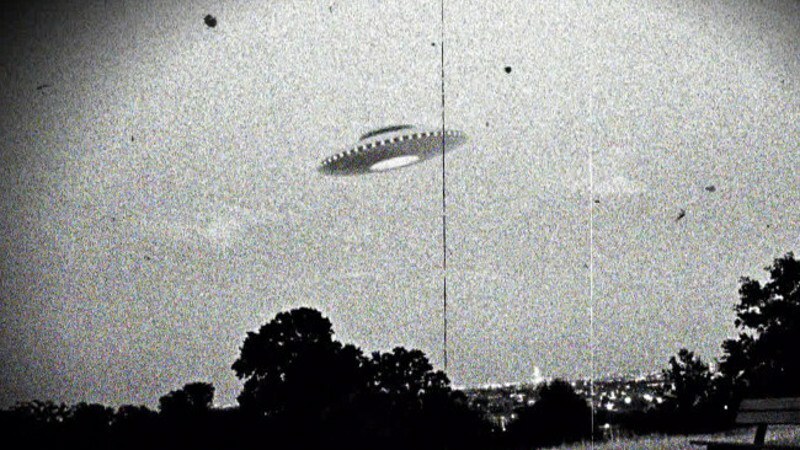 Is the UFO debate a matter of science, politics … or faith? Shostak and Lincoln will discuss the alien conspiracy and other aspects of the UFO phenomenon with NBC News’ Alan Boyle on Wednesday’s installment of “Virtually Speaking Science,” an hourlong talk show airing at 8 p.m. ET via BlogTalkRadio. You can also watch the show as part of a live virtual audience in the Exploratorium’s Second Life auditorium. If you miss the live show, never fear: You can always catch up with the podcast in BlogTalkRadio’s archive or on iTunes. February’s show featured Don Lincoln previewing the restart of the Large Hadron Collider.